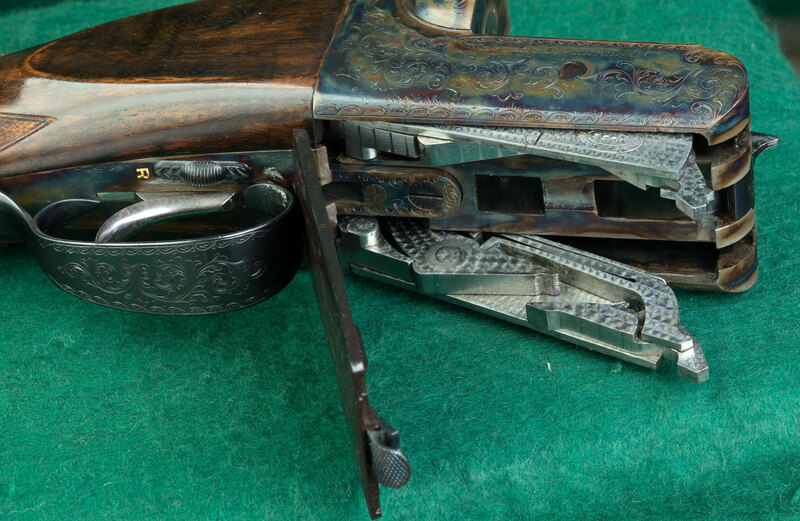 Droplocks partially removed from a Westley Richards double rifle with hinged floorplate. Droplocks partially removed from a William Powell (built by Abbiatico & Salvinelli) with a removable floorplate. A pair of Drop Locks, removed from the action body. Droplock - A variation on the Anson & Deeley boxlock design, patented by J. Deeley and L.B. 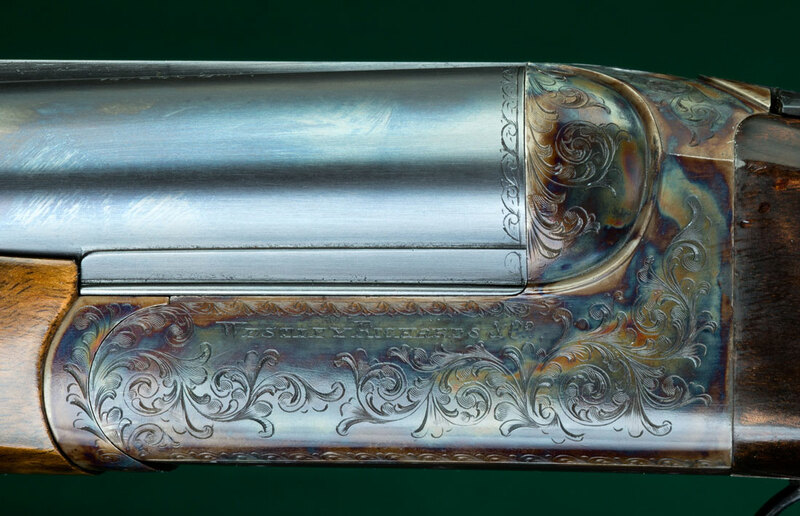 Taylor and introduced by Westley Richards at the end of the 19th Century, whereby the locks themselves are removable, without tools, from the action body for cleaning or repair through a hinged or a detachable floorplate. 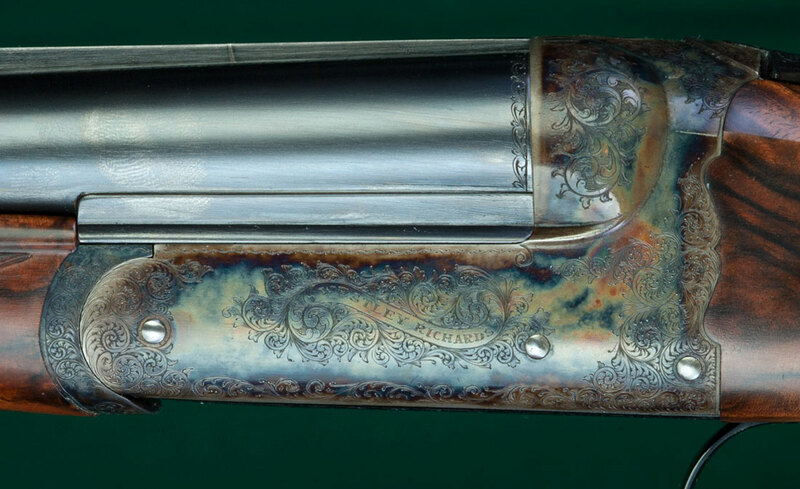 A droplock action may be distinguished from an ordinary Anson & Deeley action at sight because it has no action pins visible on the side of the receiver. Standard Anson & Deeley boxlock --- With visible action pins.